Waiariki MP Tamati Coffey believes the Government's Families Package will make a real difference to people living within his electorate. Details of the package were released on Thursday in advance of Labour introducing legislation under urgency to pass them into law. 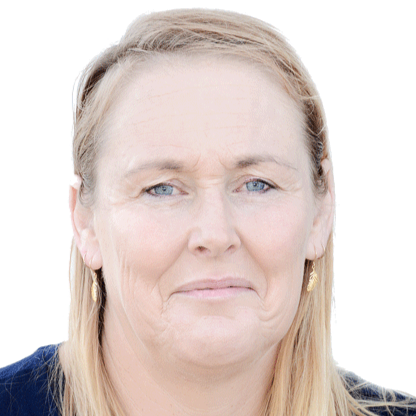 Coffey spoke to the Rotorua Daily Post minutes before the first reading went ahead. "Waiariki has high deprivation and one of the lowest median incomes throughout the electorates," Coffey said. "Our Families Package will give Waiariki a boost." It is projected to lift 88,000 children out of poverty through a combination of higher Accommodation Supplement changes, more generous Working for Families scheme, a "Best Start" payment for parents of young babies, and a "Winter Warmer" grant for beneficiaries and superannuitants. The package is expected to cost $5.3 billion over four years and would be paid for by cancelling National's tax cuts - a step that will free up $8.4b overall. Gina Peiffer from Love Soup Rotorua said the changes would make a difference but in her view it still wouldn't be enough. "We're helping one guy who, after paying his rent, has $30 to live on. That's for food, phone, power and everything else. $14 will help him but he'll still be living on the breadline." She said the country had not seen a substantial benefit increase in years while living costs had soared during the same period. "I'm sure a lot of people think these breadline stories are just stories but they're real. "We have members of the community who struggle every day." Rotorua Budget Advisory manager Pakanui Tuhura said an extra $75 a week would make a huge difference for many families. "But it is, of course, dependent on how they spend it. "Each family is different, there are some that will spend additional money wisely and others who won't." • Working for Families payments will increase by $1056 a year for children under 16 and $575 for 16-18-year-olds. • 26,000 more families will be eligible after the abatement threshold is lifted from $36,350 to $42,700. The abatement rate will increase from 22.5 to 25 per cent. • For low income families the threshold for family tax credits will increase from $23,816 to $26,156 - the increase was made to ensure people with children would be better off working fulltime than on the benefit. • The Foster Care Allowance, Orphan's Benefit, and Unsupported Child's benefit will increase by $20.31 a week. • Available for babies born on or after July 1, 2018. • The Best Start payment of $60 a week for those not on paid parental leave until the baby turns 1. • Low and middle income earners get it until baby turns 3 - it abates over $79,000 income. • Also available to foster parents and the carers of orphans and unsupported children. • About 65,000 newborns a year will qualify. • Significant increases to Accommodation Supplement, especially for those living in areas such as cities with high cost of living. Changes take effect April 2018. • A Winter Energy Payment of $450 a year for singles and $700 for couples. • Paid to superannuitants fortnightly and beneficiaries weekly from May to September. • Expected to benefit about 1 million people, including 710,000 superannuitants. • It is auto-enrolment - people can opt out. • Does not need to be spent on heating. • Independent Earners' Tax Credit of up to $10 a week will be retained for low income earners on $24,000 to $48,000 a year.